59% of children between the ages of 5-17 are affected with tooth decay. At Oxler Family Dentistry, it is our goal to provide optimal dental health for every member of your family, and to treat each person as if they belonged to our own family. We understand how seeing a dentist may not be the favorite activity of some patients, and so we constantly review how we might provide a more relaxing and pleasant experience. As well, we feel it is our part to provide the most up to date information on dental care, so you are able to make your own informed decisions on any recommended treatment plans. 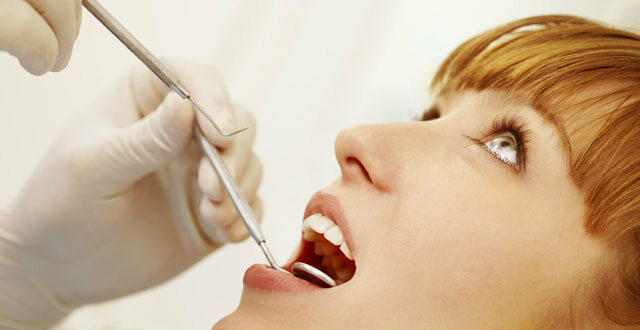 Ongoing general dentistry is the foundation for good oral health. The American Dental Association (ADA) recommends that you visit your family dentist for a checkup at least twice each year. Our experienced staff works closely with your insurance company or PPO to make sure that you receive the maximum benefits from your dental plan. We will be here to remind you about the advantages of preventing dental disease, including routine cleanings, flossing, and fluoride applications. A variety of restorative dental procedures may be appropriately recommended to help prevent or treat decay or disease of the teeth, mouth, gums and tongue, as well as improve the overall quality of your life and build self-esteem. At Oxler Family Dentistry, we can complete the dental implant process for you from start to finish. Dr. Travis Gillespie has completed the continuing education continuum with Arrowhead Dental in Salt Lake City, including advanced implant training. This allows us to both place the implant and complete the tooth, without having to go outside of our office. Call our office at 316-722-2596 to schedule your consultation today.